It is our goal to make everyone’s visit(s) here a wonderful experience. Our caring staff members are committed to helping you achieve your goals and provide an atmosphere conducive to our integrative philosophy of addressing the whole individual (mind, body, and spirit). To aid in our commitment it is important that patients, clients, students and attendees cooperate with the following office/event policies. Thank You! Whether paying with cash, check or credit card it is required that we have a valid credit card on file. If the credit card that you are using is that of someone else, their information (address, phone number, email, etc.) must also be included on our credit card form. The patient, client or customer in signing this form acknowledges that any unpaid balances or other money owed may be charged to this card if their account is not current. This includes charges for missed appointments. Payment for services are due either at the time services are provided or prior to that time depending on the program you have selected unless other arrangements are approved in advance by the office management in writing. Since we set aside 2 hours for most initial appointments, all new patient’s cards will be charged prior to that initial visit so that payment has posted by the date of that appointment. Excluding calls made for the sole purpose of scheduling an appointment(s) telephone calls/consultations lasting more than 5 minutes are billed as an appointment. Please make an appointment to discuss your case, review labs etc. (Provider’s time and knowledge are their stock and trade). Note: There is a $50.00 charge for checks returned un-payable for any reason or for credit card charges denied. This document authorizes BodySmart Wellness to bill your credit card. We attempt to see our patients/clients/customers on time. If someone is late for his or her appointment, the next patient, person is forced to wait past his or her scheduled time, therefore, 15 minutes late or more may be considered a missed appointment at the discretion of the provider. If for any appointment cancelled before 8:00 AM on the day of the scheduled appointment there will be charged $50.00 late cancellation fee. For any cancellations after 8:00 AM on the day of the scheduled appointment, the full fee for the visit will be charged. Your time is set aside specifically for you. As well, it is normally impossible for us to fill a cancellation on short notice so… please be on time for your appointment or you may be charged for the missed appointment (or lose a session if already paid for). We require 24 hours notice to change an appointment. All sales (programs, appointments, services, sessions, workshop, merchandise) are final. We will gladly replace any defective product with one identical or as close to identical as possible if it is brought to our attention within 48 hours. Unused portions of items such as supplements must be returned in the original container to receive a replacement or office credit at BodySmart Wellness’s discretion. Since success is a joint effort between the provider and the patient, client, student, or customer, we offer no guarantees stated or implied. We will do our part. If you follow instructions and do your part, success is the likely outcome. No unattended children under the age of 16 years old can be left unattended in the reception area or the outside halls. This is for liability reasons and as a courtesy to other patients, clients and students. Patients may not bring another person to share or piggy-back with their appointment. Anyone wishing services must schedule their own appointment. As a courtesy to other patients clients, and students, and to maintain the serene atmosphere that we of striving for, absolutely no cell phone use is permitted in the office. If you must make or take a call, please step into the hallway. Registrant accepts responsibility for payment of fees. Client/Patient holds harmless, indemnifies and agrees for his/her self and his/her heirs and assignees not to sue BodySmart Wellness LLC., Dr. Holder, Dr. Kimelheim and any staff or associates arising out of his/her participation & affirms that he/she is participating of his/her own free will. The patient/client/student/customer will be held responsible for any reasonable legal fees incurred by the provider in the collection of money owed or any damage caused to the provider financial or otherwise. If any part of this agreement is deemed unenforceable all other parts of this agreement remain in full effect. Dr. Holder and/or BodySmart Wellness reserves the right to record (audio/video) any sessions, events or consultations for our records. 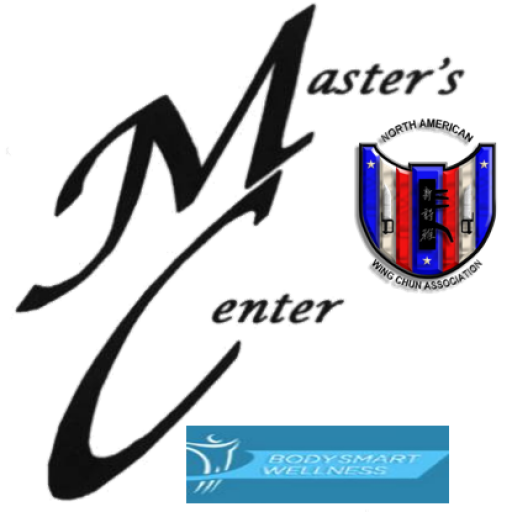 Any recordings become the sole property of Dr. Holder and/or BodySmart Wellness. Recordings may be used by the provider to review a case or for use in educational training media. With such recordings as well as all other patient client records, the client or patient’s identity will be protected and kept in confidence.